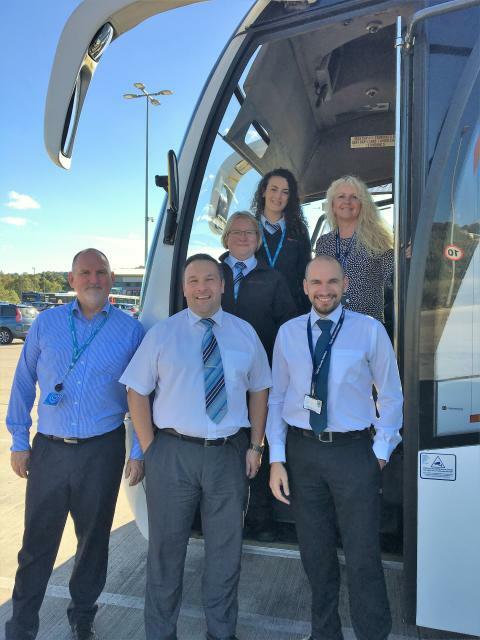 Trainers from the region’s largest bus operator, Go North East, have completed innovative training with National Express, allowing them to be fully compliant with the coach company’s recently-introduced driver evaluation process. As the first partner operator to fully complete the training programme, the instructors from the Go North East Training Academy can now ensure each and every driver under their guidance is fully-up-to-speed on the responsibilities and standards expected of them whilst operating within the National Express network. The training comes as the leading coach operator standardises its training across its worldwide operations. Taking place over six weeks, the training saw the instructors completing a RoSPA (the Royal Society for the Protection of Accidents) accredited advanced training test together with four validation evaluations, an initial competence check, skills analysis and regular feedback. This allows them to be able to provide relevant and effective ongoing training and evaluation to new and existing drivers. As the first company to be fully validated, Go North East has been proudly working with National Express for over 40 years; operating a fleet of 30 coaches with a team of around 100 drivers from its Chester-le-Street depot, on routes across the country to destinations including London, the South Coast, the Midlands and North West. To find out more about Go North East visit www.gonortheast.co.uk.